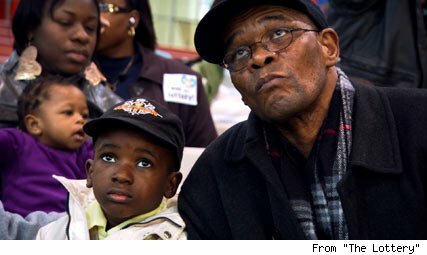 A father waiting to find out if his son was chosen to go to a charter school. The Pacific Collegiate School in Santa Cruz, Calif., is a public charter school. It must hold a random lottery when it has more applicants than vacancies. It is not supposed to be selective. Yet somehow its average SAT score has risen to the top tenth of one percent among all public schools nationally. Less than ten percent of its students are low-income, compared to 40 percent in its city. Maybe that has something to do with the fact that the school is allowed to ask (not require, its principal emphasizes) that every family donate $3,000 and 40 hours of volunteer time a year. As a supporter of the charter school movement, I get grief from people who say that charters—independent public schools using tax dollars—are private schools in disguise. They are almost always wrong about that, but there are enough Pacific Collegiate situations to make me wonder if the rules need revision. So what do you think? Are charter schools too picky? Should charter schools be compared to traditional public schools? How can we ensure that children receive the best education no matter what school they attend? Vote daily for Stanton in Glee’s Give a Note Contest! Last month, my school entered Glee’s Give a Note Contest. Glee is offering up to $1 million dollars in prizes to 73 schools!! You heard me correctly!! Glee is giving up to $1 million dollars in prizes to 73 schools. The money will go towards music programs. My school needs your daily support! Vote by clicking this link here. Share the video with your friends and family. Thanks for your support. No computer left behind? Ensuring school resources for all! It must be nice to have a computer lab. I remember my senior year of high school vividly. I toured many colleges and universities. One thing that each of these universities touted was its technology and libraries. All of the universities I toured were public schools, yet each could proudly state how many computer labs and libraries were on campus. 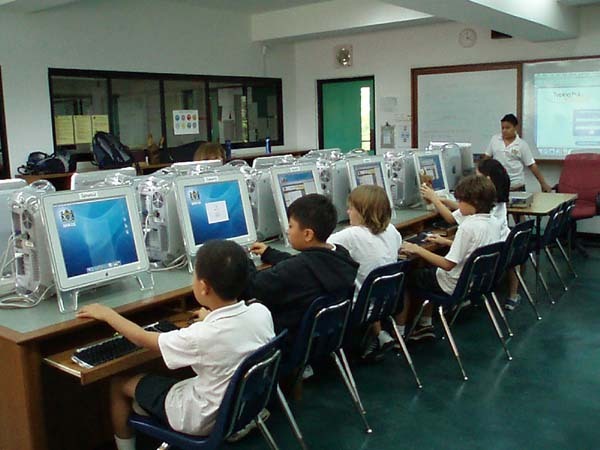 Since each wanted to be known as a premier learning institution, they knew that having top-of-the-line computer labs and millions of books were necessary to ensuring that reputation. Can we also say this about public elementary, middle, and high schools? Are we creating premier learning institutions that help our children to become critical thinkers and innovators by providing them with these basic tools? As I am creating my non-fiction writing unit, I am forced to come face-to-face with the reality that my school is lacking the basic resources that should be available to all schools in this technologically advanced age. In the non-fiction writing unit, my scholars will write reports on animals. In November, they go on a trip to the National Zoo, so it makes sense for them to connect their in-classroom learning to outside experiences. Nevertheless, what concerns me is the fact that my school does not have a computer lab or working library. Can you imagine teaching students how to conduct research without the two most important places to find sources? My story is not an exception. In fact, many teachers across America face this same problem. Just think of how each kids can't wait to check out a book! As a child, I loved taking both computer and library class. In high school, I would race my friend as we learned how to type. We did not realize it as the time, but we were both fostering a love of computers while simultaneously increasing our typing skills. In elementary school, my school’s librarian engaged us in the most fascinating lessons before sending us off to choose and checkout books on our own. We did not know it then, but we were learning how to enjoy reading and personal responsibility at the same time. Just how are we creating learning environments where children are intrinsically motivated to learn if they are learning in schools without the basic resources to engage them? It is an injustice that many schools in communities that need quality educational opportunities have to send their children to schools with the least resources. Now do not get me wrong. I am not bashing the teachers or administrators at my school. Teachers in these schools work tirelessly to create engaging lessons and learning opportunities that spark a student to want to learn in spite of a lack of resources. Many of us event spend our own money to fill the void. How can we expect all schools to meet the same standardized test score bars when we all there to be “have” and “have not” schools? More importantly, when will school districts ensure that all schools equip teachers with the basic resources necessary to teach students so that they may achieve at high levels? Fall into Reading with First Book-DC! As a teacher, I know how schools in low-income communities lack resources. As a literacy teacher, I know how important it is to have a wealth of books available build a love of reading in each student. 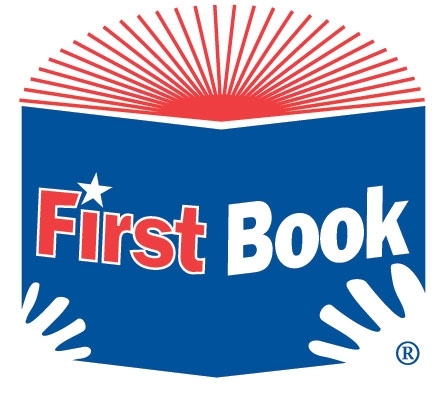 When I was a teacher in New Orleans, I served on the board of First Book-NOLA. I helped give out thousands of books to children across the New Orleans metropolitan area. Nevertheless, when I moved to DC, I learned that their First Book Advisory Board was inactive. This broke my heart and I decided to do something about it. I contacted First Book National and soon was asked to co-chair the effort to bring First Book-DC back! First Book provides new books to children in need, addressing one of the most important factors affecting literacy – access to books. In low-income neighborhoods there is on average only one book for every 300 children, compared to 13 books per child in middle-income neighborhoods. In fact, 61% of low-income families have no books for children in their homes. 1) Make a donation to our Fall Into Reading fundraising campaign by visiting www.firstbook.org/dc. 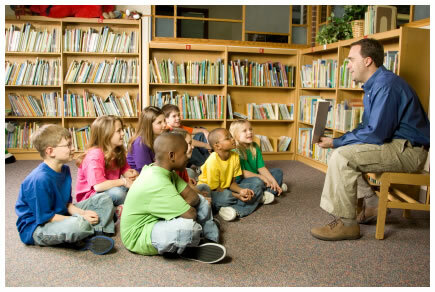 Our Advisory Board raises funds for the purchase of books for kids in the Washington, DC area. Currently, we are working to raise $2,000 – enough money to provide 1,000 new books to kids in Washington, DC. Our goal is to raise this money by October 31. It is my hope that we will reach and even exceed our goal with your support. Every $2.00 donated provides a book to a child in need. So, a donation of just $10 will purchase 5 new books. A donation of $50 will provide 25 books – enough for an entire class of DC students. 2) Like First Book-DC on Facebook. We’ll be posting updates about the progress of our fundraising campaign on our Facebook page: http://www.facebook.com/FirstBookDC. Be sure to “like” us on Facebook so you can stay up-to-date about our upcoming activities, events and fundraisers. 3) Help us spread the word about First Book-DC. Do you know of a program, teacher, school or other organization in Washington, DC that could benefit from a First Book grant for new books? Help them connect with us by directing them to our website at www.firstbook.org/dc. For more information about First Book, visit www.firstbook.org. 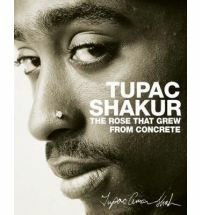 Earlier this year I introduced big goals to my scholars by reading them Tupac Shakur’s poem, The Rose that Grew from Concrete. I showed them pictures of Tupac and told them about his life. I explained to them the achievement gap. They were inspired. They understood the comparisons of concrete and their neighborhoods. More importantly, they became invested in working to be roses growing from their concrete environments. Thanks to Twitter, I always come across great articles and videos pertaining to education reform. Recently, I watched a video of Dr. Jeff Duncan-Andrade, an Associate Professor of Raza Studies and Education Administration and Interdisciplinary Studies at San Francisco State University. It was a TED lecture entitled Growing Roses from Concrete. Immediately after reading the title, I felt compelled to check it out. Little did I know that upon clicking that link, I was in for the most powerful lecture I’ve heard in a long time. Dr. Duncan-Andrade’s educational theory aligns exactly with what I envision needs to be done to systemically change our nation’s school. I encourage you to check out the rest of the Dr. Duncan-Andrade’s lecture here. It will give you much insight into the road less traveled in education reform: acknowledging that children and families growing up in low-income neighborhoods do not have to live under these conditions. These conditions are man-made and when we address the living environments of families in low-income and under-resourced communities, we also create a solid foundation to systemically reform our schools for the better. Twitter is a powerful tool to connect people with many interests. As a public school advocate, I’m eager to hop on Twitter each night and catch up on the latest education news. More importantly, I’m eager to read what the latest power players in education reform are saying. On Friday night, I had the opportunity to dialogue with who education power players: Diane Ravitch and Dr. Steve Perry. Both are people that I admire, and one day I hope to chat with them face-to-face. As a fourth year teacher, I am constantly seeking the wisdom from more seasoned people in the education arena. Both Ravitch and Perry share many of my views. I felt obligated to ask Diane Ravitch some questions after watching her debate with Geoffrey Canada on Education Nation. It rocked my core that two people, who agree on many things, were actually debating. Geoffrey Canada is the founder of the Harlem Children’s Zone–an innovative way to reform not only schools, but an entire community in Harlem, NY. 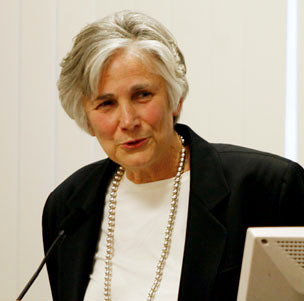 Diane Ravitch, a former Secretary of Education, and now a historian and professor at New York University who advocates for teachers, whole child education, and eradicating poverty to improve our nation’s schools. It perplexed me that they were debating. Now don’t get me wrong, people can debate. However, the current status quo vs “reformer” arguments are divisive. Quite frankly, I don’t view Diane Ravitch as the status quo. I think she’s one of the most progressive thinkers of our time. I do believe Geoffrey Canada to be an innovative reformer because of his Harlem Children Zone approach. Nevertheless, I personally believe that the back and forth in education debates are halting progress. Therefore, I asked Diane Ravitch some questions on Twitter. To my luck, she replied. @DarlaBunting The @dianeravitch and Geoffrey Canada debate on@EducationNation seemed a bit exaggerated. I’m sure you both agree on more things. 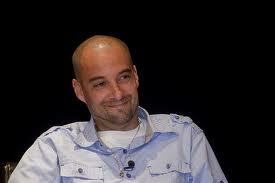 @DarlaBunting How can we change how the national dialogue around education reform @dianeravitch? @DianeRavitch @DarlaBunting Current education policy is crazy. Test whatever moves, then fire teachers, close schools. That’s not improvement strategy. @DianeRavitch @DarlaBunting @EducationNation I admire HCZ. I wish that all schools could have same resources, social & medical services for kids. @DarlaBunting @DianeRavitch I agree, and it frustrates me that the debate is being framed in a way that is halting progress. DianeRavitch @DarlaBunting @EducationNation We were pushed to sharpen debate. Geoff likes to fire teachers, close schools, I believe in helping people. DrStevePerry Failed schools must be closed and the children must be provided w/ vouchers so they can attend good schools in their lifetime. @DarlaBunting Okay, now we’re talking. 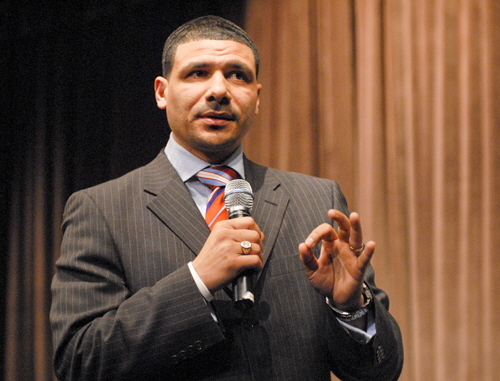 @DrStevePerry I knew there was more beyond that one statement. I love engaging in dialogues about the current state and future of our nation’s public schools. Twitter makes it that much easier to connect with people from all walks of life doing many different things in improving the life opportunities of our nation’s most neediest kids. I look forward to following more education advocates and reformers. Follow me @darlabunting and I’ll follow back. *Now, let me be clear. I do not believe that unions are the sole reason for our nation’s failing school system. As mentioned in my previous post, Twitter’s Role in the Education Debate, The dialogue around education reform is becoming divisive. I am not a proponent of either side. I actually see a common ground. Nevertheless, what has been on my mind is the misconception that people who want to create better neighborhoods and communities for our nation’s low-income citizens, while simultaneously pushing for education reform, are being labeled as status quo. That label is extremely confusing for me. I hope that many of you can help me to understand why a belief that is perhaps the most progressive is labeled as status quo. I decided to tackle this issue, by shedding light on how I developed my education reform theory. I hope that my story helps you to understand my point of view: Children growing up in low-income communities have the innate ability to achieve at high levels. However, often as statistics indicate, their community’s influence limits them to see what is possible. Many become products of their environments. Nevertheless, America has the capacity and knowledge to create better neighborhoods for its low-income citizens. Building more sustainable communities, coupled with reforming these schools, will systemically change our public school system for the better. Growing up in small-town Bridgeton, N.J., (http://en.wikipedia.org/wiki/Bridgeton,_NJ) exposed to me an early age to the economic inequality in America. I had friends who lived in middle class homes, like me, and I had friends who lived in “the projects”. I knew early on that something was inherently wrong with that, but in my elementary years, I was too young to understand why. However, because my town was so small and school options were slim, everyone from middle class to low-income attended the same schools. Back then, my town had six elementary schools (now all K-8) which fed into one middle school and one high school. I gained an early awareness through certain life experiences (summer camps at Rowan University, computer courses as the local community college, constant interactions with college-educated people, etc) to a different way of life, partly because my dad went to college. He was able to open my eyes to what is possible for me to achieve beyond my small-town. This exposure was the reason I was able to overcome living in a small-town that had little resources. (According to Census results, the median income for a family in Bridgeton is $30,502). Fortunately, I grew up with a middle-income lifestyle. This was not the norm for many of my peers. During my eighth grade year, my dad asked me if I wanted to attend private school. By that age, I had developed my own educational and economic theories, and I knew exactly why he asked me that question. Growing up my local high school did not have the best reputation—in fact; it was labeled as the worst high school in my county and one of the lowest performing in the state. This label haunted my classmates and me as we interacted with students at different schools. As a student-athlete, we would interact with other schools that made it known through their taunting and sly remarks that we were at the bottom of the barrel. In my county, people would say, “Oh, you’re from Bridgeton?” as if it meant that I was less of a person. Therefore, when my dad, asked me if I wanted to attend private school, I knew it was because he wanted what any parent wants for their children: the best education. Since he was fortunate to beat the odds and graduate from both college and graduate school, he wanted me to have every opportunity to succeed. Yet, without hesitation, I firmly and confidently told him that I wanted to attend my local high school, and I knew what that decision meant, too. It meant that I may not receive the best education—yes, math still haunts me to this day. I even failed my first collegiate math course. However, what was most important to me was that I served as a voice to my peers to take charge of their futures despite where they grew up. I wanted them to prove people wrong; I wanted to prove people wrong. I wanted to prove to naysayers that people growing up in Bridgeton could achieve just like anyone else. Most people cannot escape their environment to attend a better school–but I chose to stay. 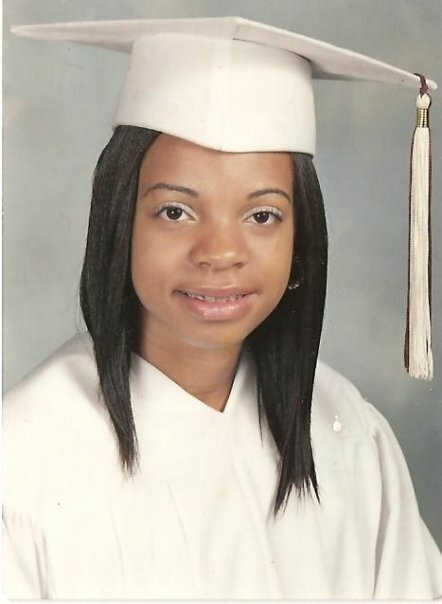 I do not know if I chose my life, or if my life chose me, but I committed my life to advocating on behalf of my peers who fell victim to their zip code. I decided early on that people should not have to live like that. That is why I view education reform and community reform as both necessary to systemically change our nation’s public school system. Be on the lookout for Part 2 of How I Developed my Ed Reform Theory.